The 2019 Equinox small SUV is ready for your next adventure. There’s technology to keep you entertained, available safety features that can help you stay on track and performance that makes driving fun. From point A to point B and anywhere in between. The 2019 Equinox small SUV is ready for your next adventure. There’s technology to keep you entertained, available safety features that can help you stay on track and performance that makes driving fun. Because why shouldn’t every trip be an excuse to treat yourself? The 2019 Chevrolet Equinox will be offered in four trim levels being offered are the L, LS, LT, and Premier. Three new option packages are now offered, starting with the LS Convenience package and the LT Appearance package. The Lights and Bright package is also available on the LT model and adds 19-inch chrome wheels, LED head- and taillights, a chrome grille surround, and molded running boards. Four USB ports are now standard across the range and the backup camera has been given a face-lift with a higher-resolution lens. Pedestrian detection and adaptive cruise control also join the options on the top-spec Premier model. The 2019 Chevrolet Equinox comes with handling performance that most come to expect from this line of vehicles. Agreeable and easy to drive, the Equinox handles competently, and its steering is accurate and direct. With an optional turbocharged 2.0-liter four-cylinder that sips fuel with the best of them, it’s also bullying the competition in terms of fuel consumption. A super-efficient turbo-diesel engine is also available. Thanks to durable materials and stylish design, the Equinox’s cabin should be appealing to most consumers. Both front and rear-seat passengers will find more room, adding to the comfort factor. And with enough luxuries to keep them content on longer trips. A 7.0-inch touchscreen (an 8.0-inch unit is optional) displays Chevrolet’s MyLink infotainment interface atop the dash. The controls are fluid and intuitive. Apple CarPlay and Android Auto are standard, as are Bluetooth phone and audio streaming, USB connectivity, and an auxiliary input jack. Standard 4G LTE–powered onboard Wi-Fi makes the Equinox one of the best-connected crossovers. The 2019 Chevrolet Equinox has so many feature and options, it would make for a ridiculously long read. 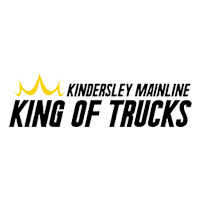 The team at Kindersley Mainline believes in the importance of creating and maintaining a great rapport with our customers and our community. This commitment has helped us to become Saskatchewan’s Favorite Chevrolet Dealer!